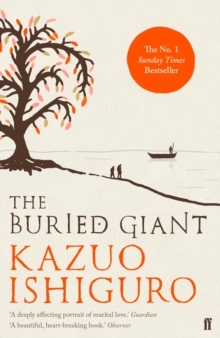 Staff Recommendation: The Buried Giant is a story of myth, legend, allegory and adventure. Ishiguro is a writer whose language stirs you to your emotional core. He is in touch with the sadder and more poignant losses of life which he incorporates with powerful subtlety. Essentially he write of mankind’s contradictions and he accesses our deepest fears and dearest desires. His prose, as always, is beautiful. This novel is set in England’s dark ages just after the reign of King Arthur. I loved it – read it and see if you agree!